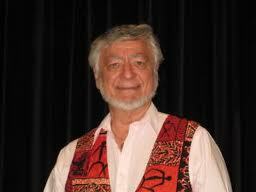 4/24/14 Part Two of Meria interviewing Dr.Serge Kahili King, Huna on shamanism, the Aloha Spirit and more. Originally recorded on January 24, 2000. NO ADVERTISING, GOVT OR CORPORATION FUNDING. Just YOU the subscriber – subscribe and gain total access to site 24/7. 3 Responses to "Meria With Serge Kahili King, Part 2"
This was a great interview, and showed your superior skills as an interviewer. I took his words to the extreme. I “changed my mind” about work and just didn’t go into the office today. I’m choosing, instead, to go into my studio and create for the rest of the day. I feel better already!! !